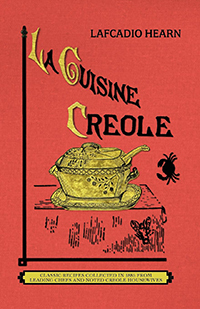 Lafcadio Hearn's La Cuisine Creole is the first Creole cookbook, one of the great rare classics of the culture. 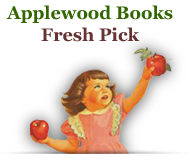 Among its recipes, collected "from leading chefs and noted Creole housewives," are gumbos with oysters, okra, and shrimp; "grenouilles frites" or fried frogs; plum, sweet potato, and gingerbread pudding; and a number of beverages, several of which use absinthe as the main ingredient. Lafcadio Hearn spent close to a dozen years in New Orleans, starting in 1877. During that time, his writings significantly shaped the impressions, myths, and symbols of the Crescent City, many of which live on to this day. Although Hearn was born in Greece in 1850, he chronicled Creole culture and the natural and domestic worlds of New Orleans - most notably its language and cuisine - as if he were born and raised there. Later in life, he became a citizen of Japan and is considered by the Japanese to be one of the greatest Japanese writers of his time.